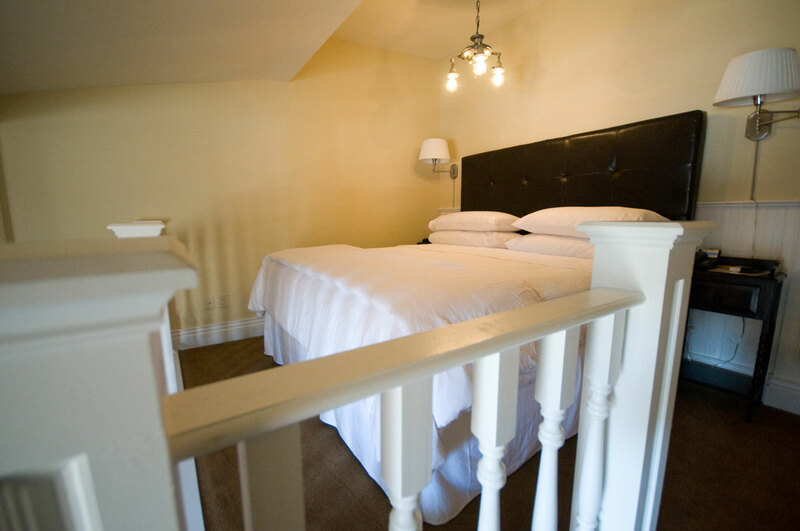 About the Inn. 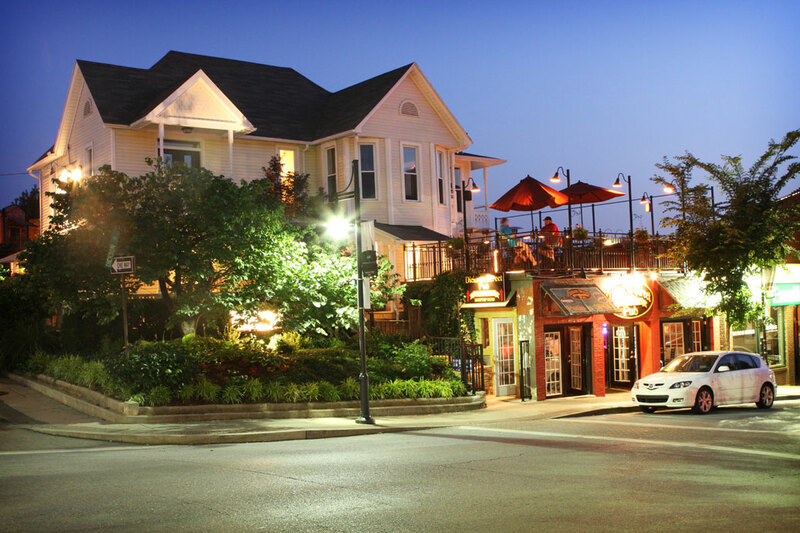 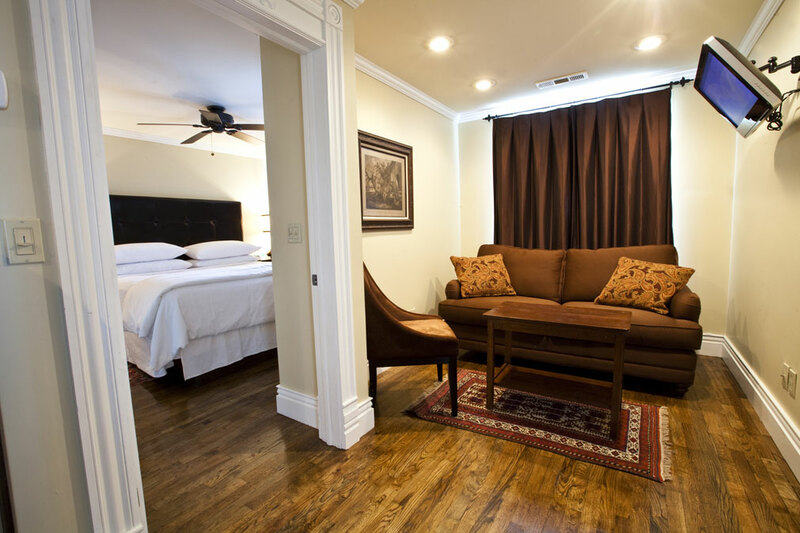 Of all of the hotels in Fayetteville, AR, the Dickson Street Inn definitely provides luxurious, relaxing accommodations surrounded beautiful, rich architecture as well as the bustling undercurrents of all that the city of Fayetteville has to offer. 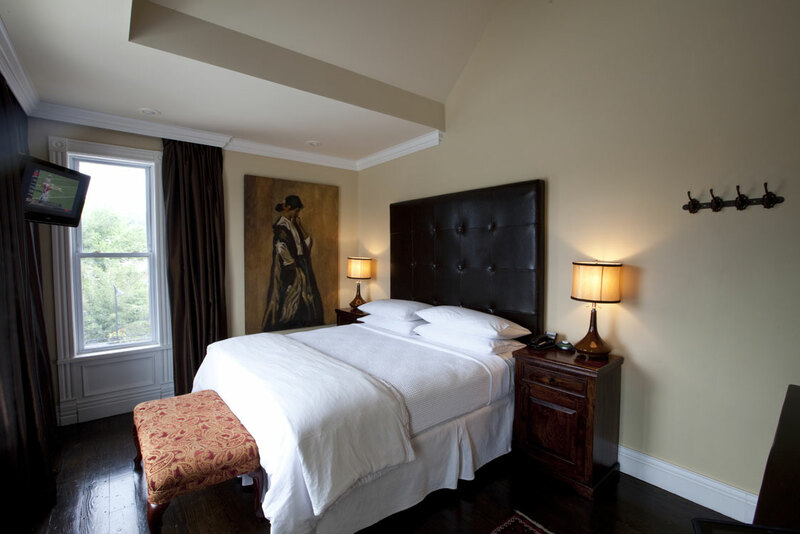 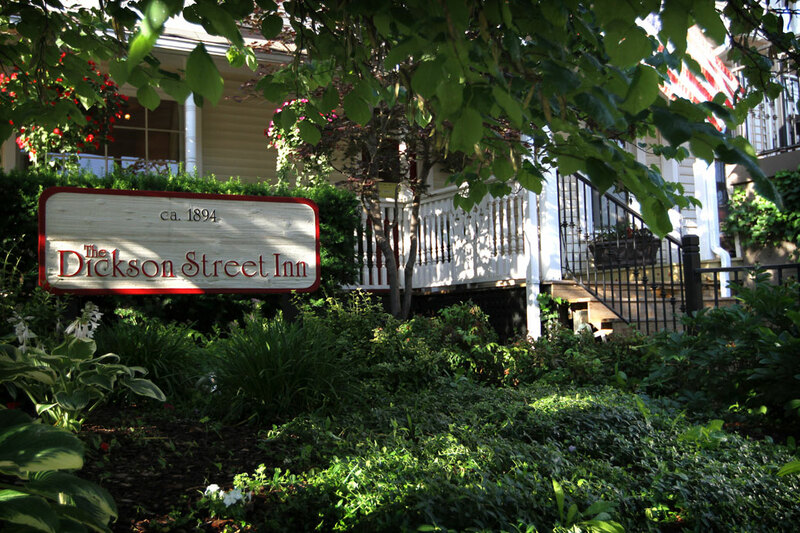 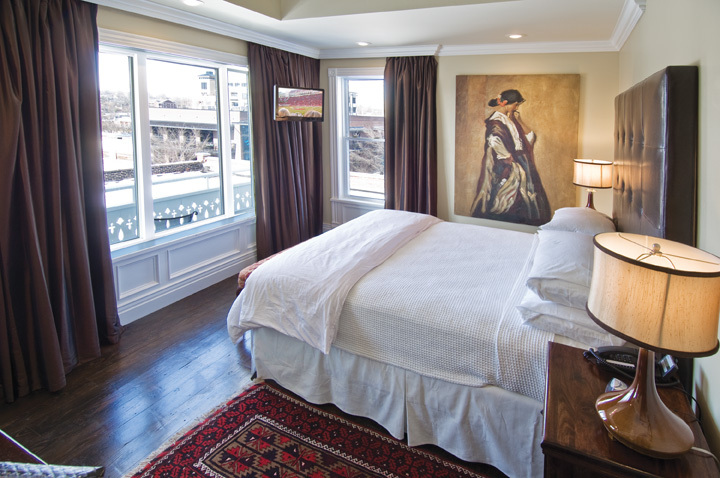 The Dickson Street Inn is a two building complex that has been tastefully remodeled into a ten-room inn preserving its historic charm while adding all the modern comforts. 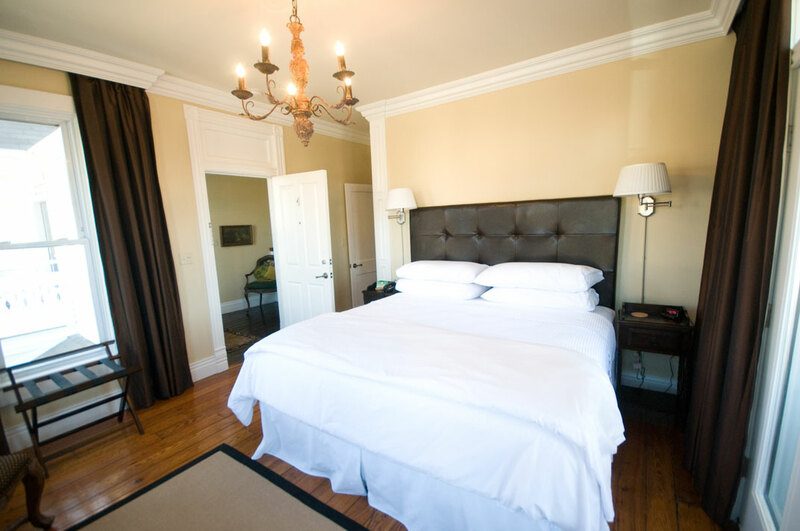 The main house, a classic Victorian built in 1894, offers eight rooms, while an adjacent building offers two larger carriage house suites. 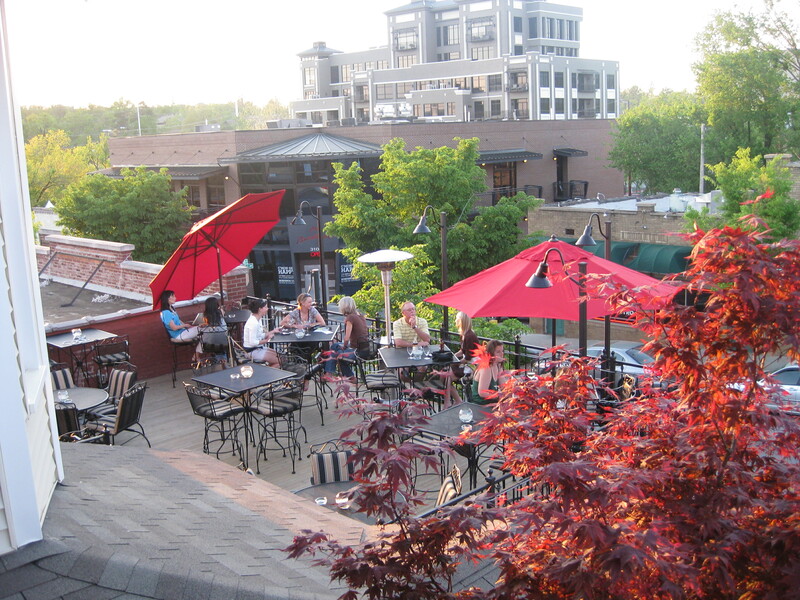 The buildings are connected with a roofed patio decking, making it a one of a kind structure. 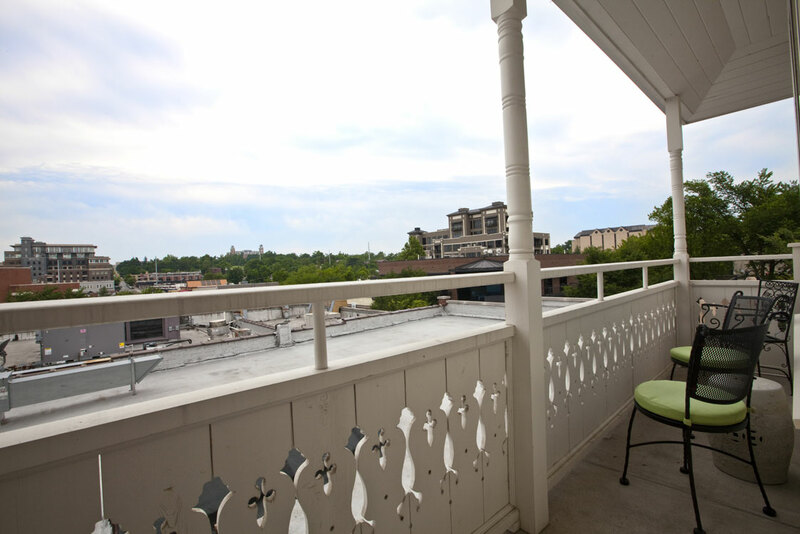 The upstairs patio deck affords a wonderful view of the sunset, the University’s signature building, Old Main, and makes for a unique place for guests to unwind. 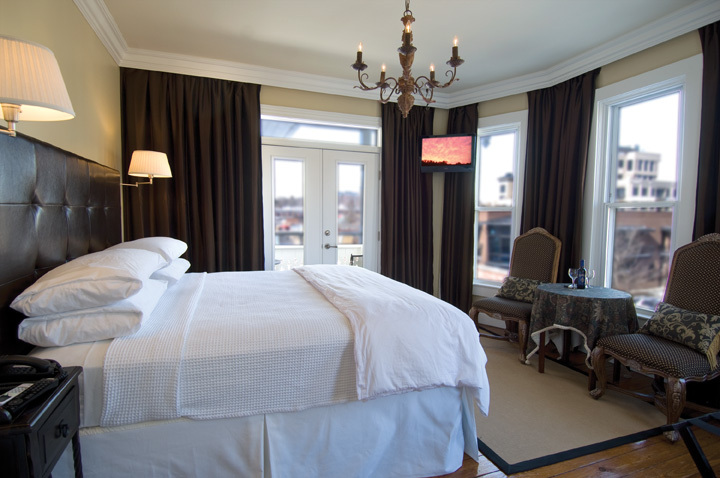 The wrap-around covered porch in the front of the house provides a down-home and relaxing sitting area, as does the private grotto tucked in between the inn and the carriage house. 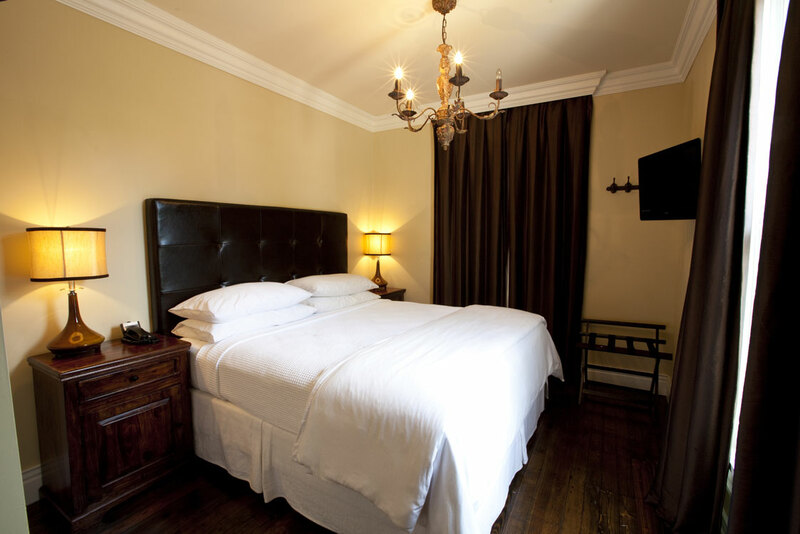 Inside the house, Heartwood pine floors dating from the home’s origin are complimented by the elegance of the crown molding, the sumptuous drapes, an assortment of antique furniture pieces and chandeliers, all of which blend harmoniously together to create a warm, inviting atmosphere. 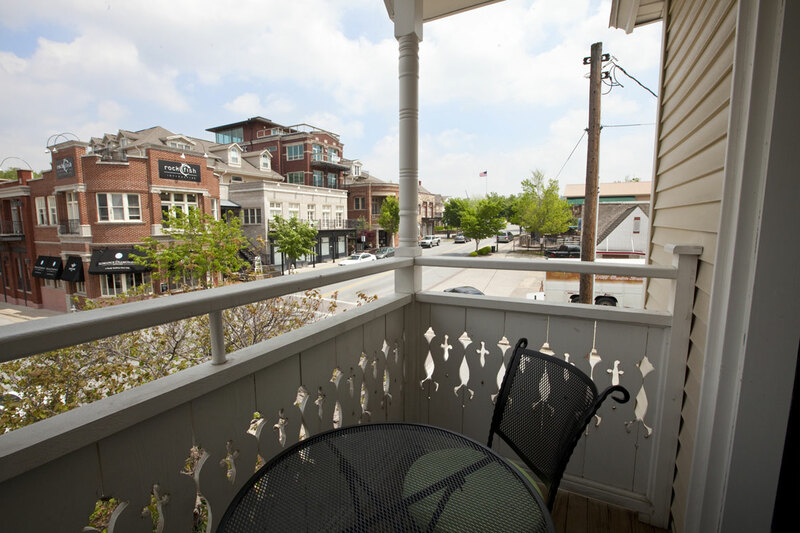 The outdoor rooftop patio deck, our “Veranda”, offers a second story view of the excitement that is all things Dickson Street. 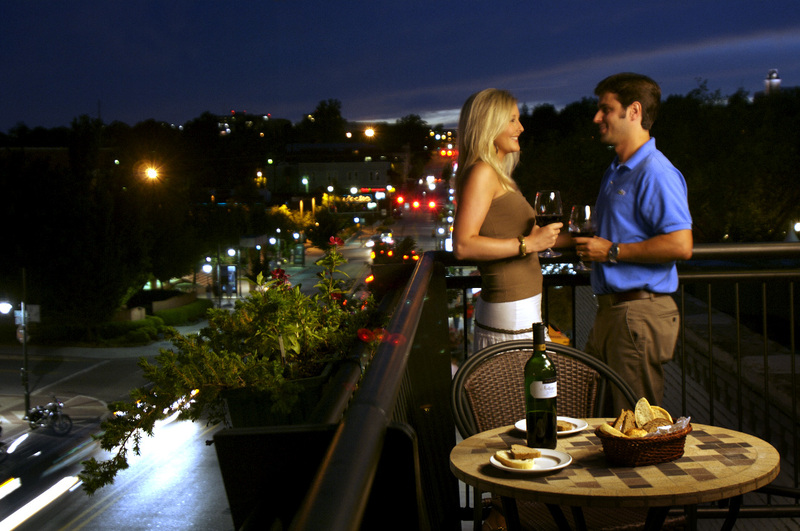 We offer international and domestic beers, wines, and a selection of light appetizers. 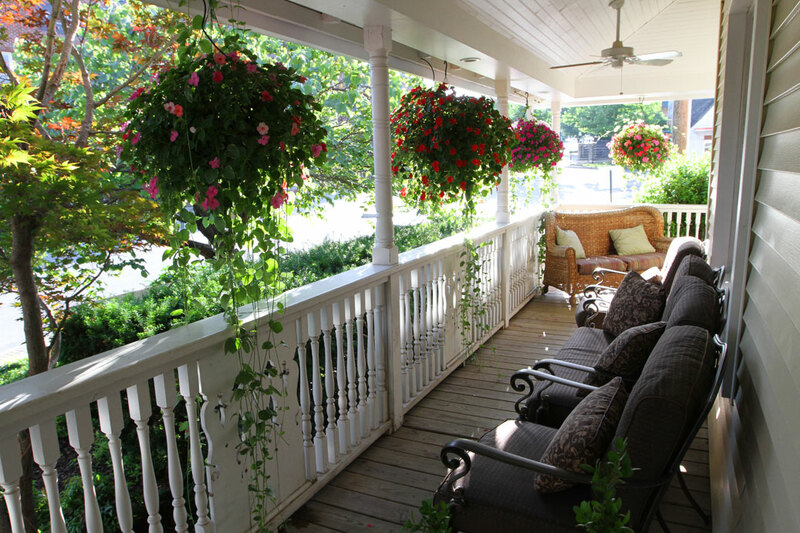 Open to the public, the Veranda can serve up to 35 people in the open air during fair weather, and can serve on the covered porch, as well as inside the inn any time of the year. 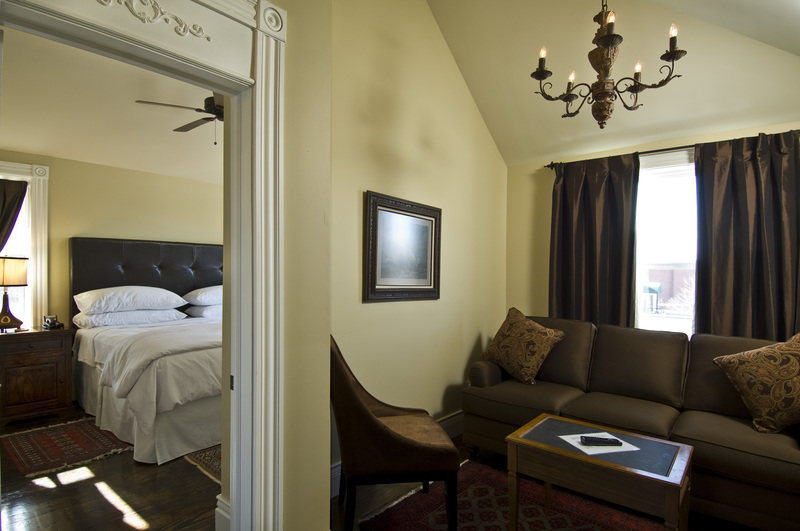 It’s the perfect place to spend an evening sipping on a glass of wine, watching the sunset and enjoying the company of friends.